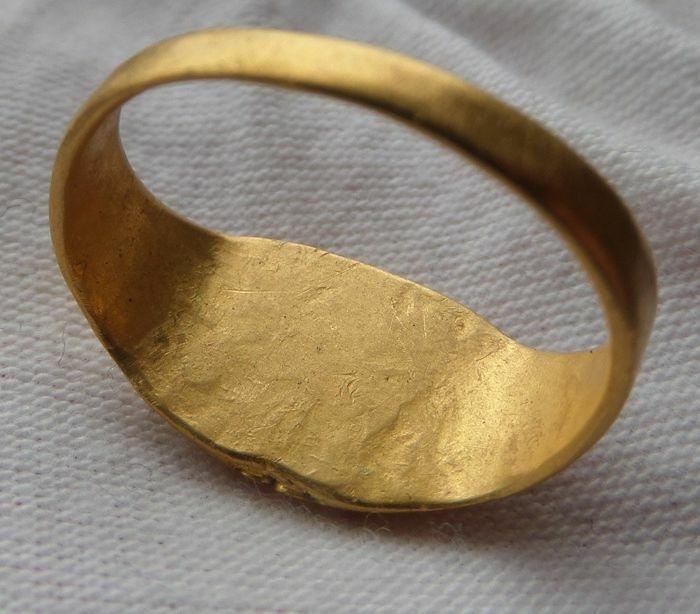 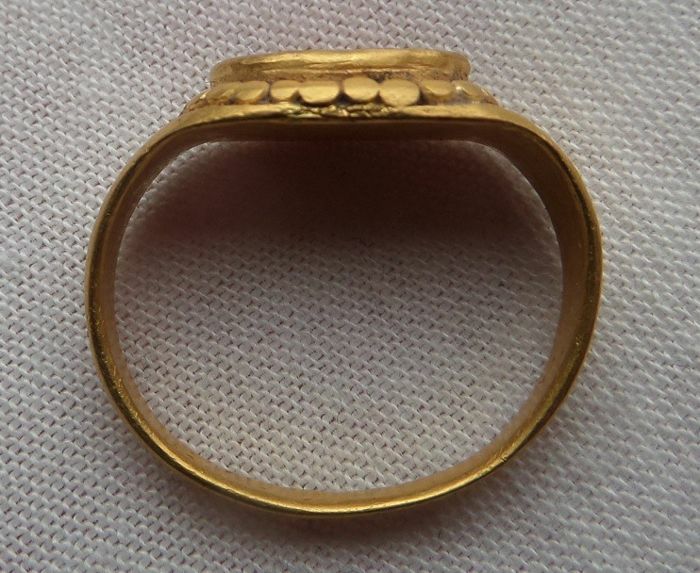 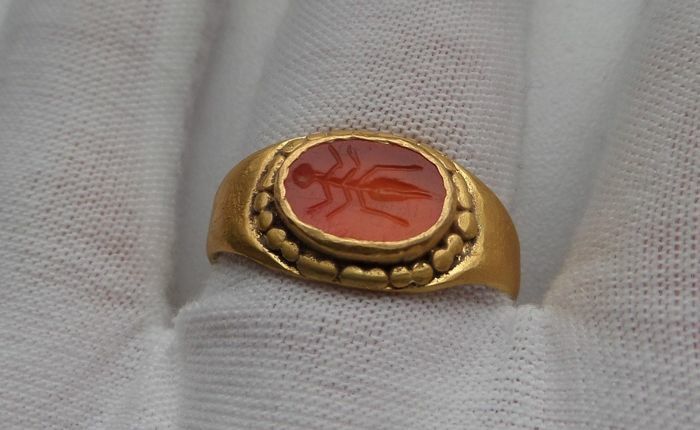 Ancient Roman Ant Intaglio ring. 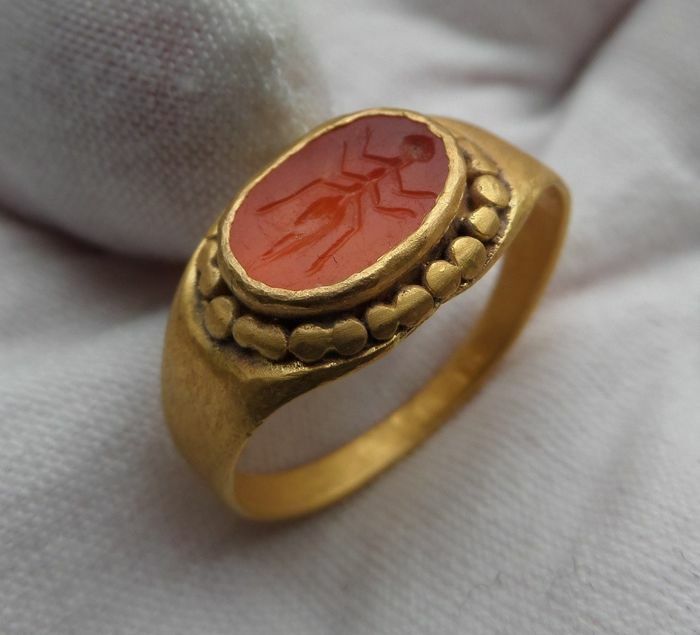 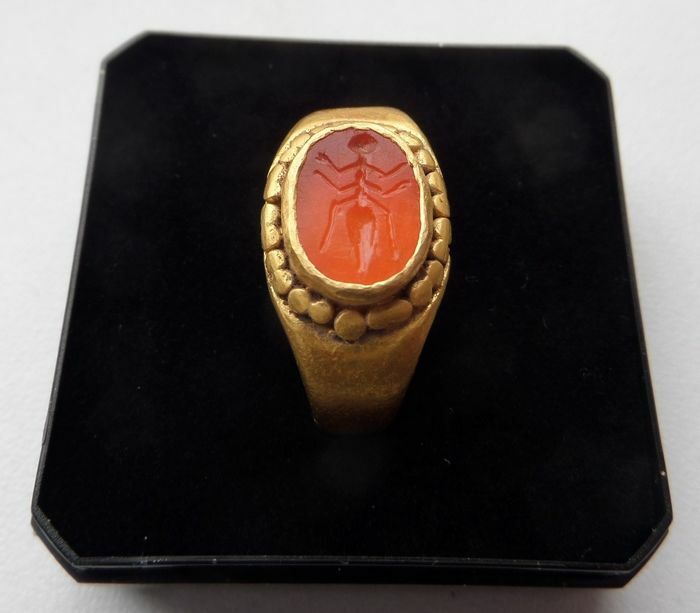 Set with an oval Cornelian Intaglio depicting an ant. 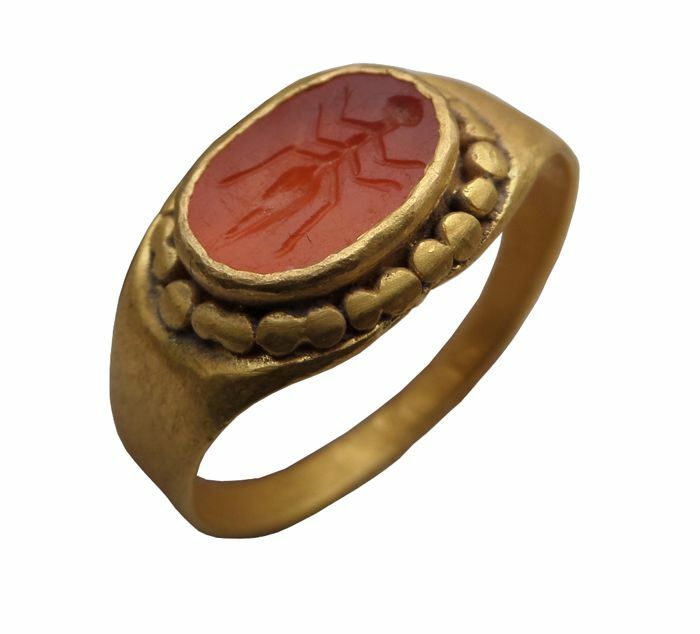 The insect is seen from above; has six legs.